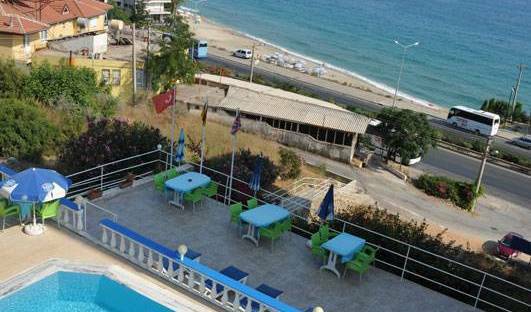 Wonderful apart with a great view over the sea in Alanya. Just 2 walking minutes to the beach. Antique Roman Palace is a special architectured a new and elite facility in Alanya a city of the unique beauties and historical prosperity. New and Clean hotel in Downtown, close to all be visited places. Ankara Duman Hotel is situated in the heart of Ankara City. Ankara Duman Hotel is under new management and has been renovated and fully equipped to ensure a pleasant stay. Do you feel tired of city life, had enough stress? Olympos is the best place for you! A piece from heaven, hidden paradise! Olympos Orange is the place that you will recover yourself! Sabah Pansiyon is located in the beautiful 'Old City (Kaleici)' of Antalya, with wireless internet connection for your laptop. From the golden beaches of Lara, let yourself dive into the turquoise waters of the Mediterranean which shine like jewelry. Now its time to relax. Atici Hotel is a beautiful Belgium family-run hotel in the Historic Kaleici Area. That offers simple and indipendent rooms for a comfortable stay. KLEOPATRA SUIT, WHICH PRESENTS CHARM AND ELEGANCE TOGETHER PROMISES YOU GUESTS TO KEEP ITS MODERN ARCHITECTURE, DESING AND COMFORT AT HIGHEST LEVEL FOR A PEACEFUL MEDITERRANEAN HOLIDAY . ANTALYA Madi Hotel , a well equipped 30 room capacity Business - Family and Solo Traveller Hotel. 'Seven Stars Exclusive Hotel, is at your service during the whole year. It is 5 km to Antalya centre, one of the most beautiful cities of the Mediterranean coast. It has the biggest pool and the most beautiful botanic garden of the area. waiting for you. Alone with the mountain, near the sea, the hotel waiting for you for a very comfortable holiday. Kaleici Lodge Hotel at heart of ANTALYA Old Cirt.. New designed and modern comfortable room, great view from terrace and walking distance to city center... easy access to beach by walking for 5 minutes..
ANTALYA BELEK TOURISM CENTER **** STARS HOTEL 12 MOUNTHS OPEN. The Bosphorus Rooms give you the pleasure that you want to taste while you are in another country and discovering a new culture. You feel the comfort and you see the best atmospheres as you wish. It depends on whatever you would like to see and feel. Deniz manzaralı odalarımız, kahvaltı bahçemiz sahile bir kaç adım uzaklıta olan Saymoz Hotel, ücretsiz Wi-Fi erişimi ve düz ekran TV ile donatılmış odaları ile ev sahipliği yapmaktadır. A charming guest-house with non-smoking rooms in the heart of the historical city center of Ayvalik with a wonderful view over the Ayvalik Bay. Walking through the narrow streets of Ayvalik will give you a touch of the past. If you like to relax in a green evironment with a wonderful sea view, Taliani Hotel in Ayvalik is the right place for you. We serve our breakfast in our flowerful garden. All points of interests are easily to reach by foot in few minutes. The lovely guesthouse Agapi is located in the old town of Ayvalik. It is surronded by historical houses in a quiet neighborhood. The center is in a walking distance. It is named after a Greek novelist who lived here. In Greek Agapi means love. Mavi isa cozy family pension in Ayvalik where you can see the fascinating combination of blue and green. You'll enjoy the rich and intimate breakfast in our green and fairy-like garden. Ayvalik 5 room guest house in the city center. The comfort of home for our guests, all rooms have air conditioning, private shower and wc, non-smoking room and you will find peace of mind to feel like a lush garden. Bricks Hotels is located in the center of the Istanbul City with easy access to all parts of Istanbul. Your Sweet Home in Istanbul!!! 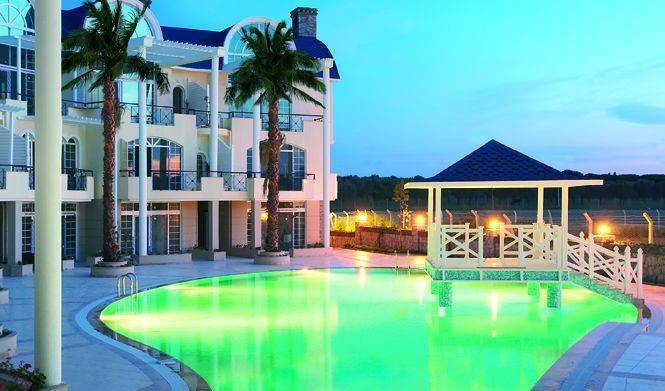 Belek de denize yakın müstakil havuzlu 3+1 odalı bir villadır. Save up your time and money about to find a budget place in the central of Istanbul !! I am proud to present those select guests who may enjoy a restful holiday, Villa Il Castello which is located at 1, 000 m altitude amongst the pine forest mountain along the shore. The hostel is in a really central place (Balo Sokak/Taksim), off a side street from Istikal in the heart of the young center of Istanbul. Wherever you choose to go on a given day, your journey will start in the heart of istanbul. omer hayyam palace is not a hostel, it is an apartment hotel which consist of the rooms that are for 2, 4, 5 and 7 people. Stay comfortable and feel at home in Taksim’s city centre in TaksimApart's tastefully decorated, clean rooms. Situated in the heart of Taksim, it is 2 minutes walk from Taksim Square. Nice and peaceful location. 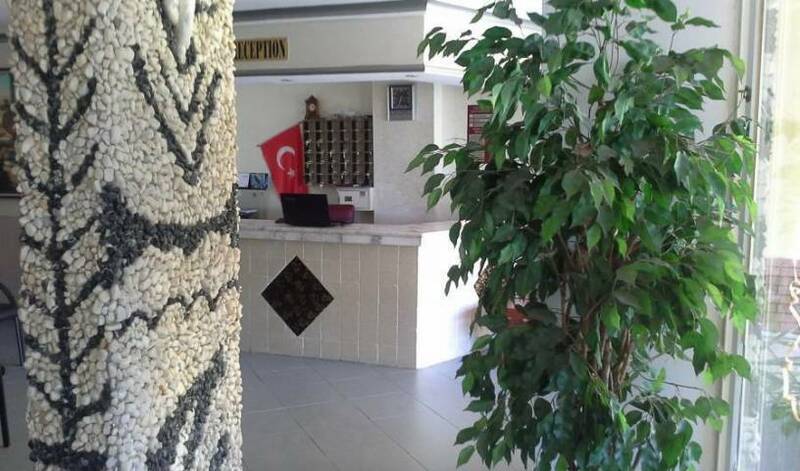 gozdedenizhotel, merkezde, plajlara ve barlar sokağına 200m. The new Hotel Kalender is a small adorable boutique hotel catering for those who are seeking an elegant hotel with a professional and very personalised service in a homely environment. This is the place you have searched for, the ideal spot for a relaxing holiday. Welcome to Sunny Garden Hotels, Sunny Garden Nilufer hotel is a quality, friendly, family run, boutique style hotel. Recommended by The New York Times, Frommers and Lets Go, this family-run hotel is situated within the last tangerine garden to be found in the heart of Bodrum. New apart hotel at Gumusluk-Bodrum. Very historical place. Gokpinar is an old , nomadic village with a population of 100. Located on the Aegean Coast of Turkey, we enjoy a location away from areas with heavy tourist traffic. The Alhas Hotel Bursa is ideal for guests wishing to discover the area's thermal baths and museums such as the museum of archaeology during a holiday in Turkey. ANZAC House Youth Hostel is popular with budget travellers and backpackers seeking quality accommodation at a reasonable price. Small friendly Hotel with the personal touch. A home from home feel from the moment you arrive. Plaj hotel with his 11 rooms and 2 bungalows lies on one of the nicest beaches of the world, in the hidden paradise Cirali. The antique city of Olympos and Chimera/Yanartaş, the eternal fire, is not far away from our Hotel. Hotel Nerissa - surrounded by palm and citrus trees and in the middle of a 14, 000 sq m green garden is our hotel, the Nerissa. Cirali is 80 km. from Antalya and 30 km. from Kemer and it is the name of the village between Kemer and Adrasan. PENSION MELISA - for our guests we have in our 2000 m2 large, well-tended garden with various fruit trees, palms and flowers, seven pretty bungalow rooms. We have 7 luxury rooms and 5 bungalows, whose interior design is different from each other, which gives all rooms an individual and unique character. Hotel Nerissa - surrounded by palm and citrus trees and in the middle of a 14, 000 sq m green garden is our hotel, the Nerissa. With us, you can spend the best time of the year in harmony with nature. Hotel Caria At a beautiful location next to the river, mountains and the King Tombs, Hotel Caria is a small and lovely hotel offering charming accommodation close to the centre of town. Dalyan Mavikosk Apartments are placed in a green area of 1. 500 m2 including a swimming pool, where you may also swim in the evening. A small family run pension located in the heart of the small island. Very large, spotlessly clean rooms with balconies and a peaceful outlook. Come make yourself a part of the family while relaxing at the Peace Pension. Grand Reis Hotel Şehir Otelidir..
Eroz Rental House is located in Istanbul and offers units, which has a full kitchenette with an electric kettle, minibar, stovetop and a dining table. They also feature city view. Free Wi-Fi access is available. You Find a very friendly, pleasant, yet modern accommodation right in the heart of the old part of Istanbul. " Don't look any further! " Otelimizde restauran, canlı müzik ve bar vardır ayrıca otelimiz denize sıfırdır. Remer Hotel located 1950m2 in çalış area the hotel have one adult swimming pool and children pool, restaurant, and pool bar, game hall nice garden. If you are tired of the noises and the tirement of the city life; OsKo Pension is the best place for you to refresh and relax. OsKo Pension is more than a holiday ! A major benefit of staying at the PIRLANTA HOTEL is the location. 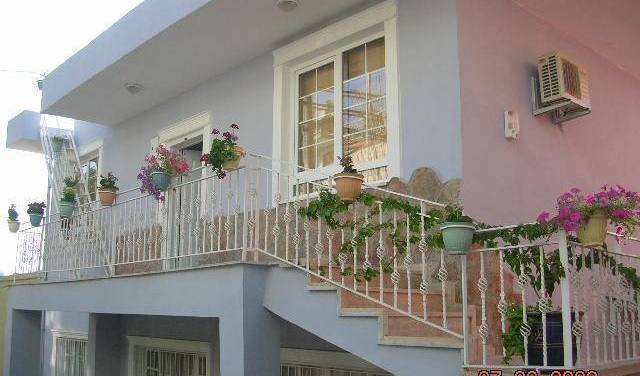 The property is a few minute walk to the centrum, marina and the shops, markets and restaurants. It’s tucked among pine trees and offers standout views over wooded hills. Small and friendly eco hotel Koru Beach Club is situated in a quiet wildlife area in a pine forest on the coast of the Meditarranean. Looking for a calm, peaceful holiday in a homelike atmosphere? We surely recommend our hotel! kapadokya ihlara konaklari located in cappadocia . the hotel is old greek mansion about 150 years old and has 60 bewitching cave and stone rooms. also it has nice restaurant and cave wine hause and cafe bar. Located in Besiktas, one of Istanbul’s most pleasant and central place, you will find in a few steps various cafe, bar and restaurants until late. Our lively district will you offer the chance to discover an everyday Turkish life experience. We have fifty rooms with 160 bed capacity. Rooms have the options for double / triple / quadruple and multiple bedded dorms/rooms on sharing basis. Cheers Hostel Istanbul is located in a perfect location right in the very heart of the Old City of Istanbul, in Sultanahmet. We are only 1 minute walking distance from the most famous sights like Hagia Sophia, the Blue Mosque, the Underground Cistern. our hostels are in the center of historical area and the center of istanbul. Istanbul Harmony Hostel is located in the heart of the old city of Istanbul between Sultanahmet and Sirkeci. The area is considered the spiritual capital of old Istanbul and our location is the perfect base to explore the cultural heritage of the city! Innjoy Hostel Istanbul is very centrally located Istanbul Taksim and offers you a great stay in Istanbul, Taksim. The Mavi Onur Guesthouse (hostel)is a small, cosy, family-run business. You will feel at home in our comfortable rooms, dining area and covered rooftop dormitory. Just steps from Taksim Square, Chambers of the Boheme puts the best of Istanbul's unparalleled nightlife at your fingertips. Sultan Hostel is centrally located in the old town where you can walk to major places within walking distance including Hagia Sophia, Topkapi Place, Blue Mosque etc. All rooms renovated in November 2014! Antique Hostel Istanbul greets all guests and visitors, regardless of age, gender and social status. If you are looking for budget accommodation in Istanbul, Turkey, the Hotel Emek will certainly be a great option. Located in the city centre, this hotel is close to transport amenities and it is easy to reach from the airport. Kiwi and Turkish partnership bring in a new style. Taksim Sopha Hostel located in beyoglu/taksim area which is the heart of istanbul and heart of fun &places to see. Welcome to our friendly family run hotel, build in the 19th century. We have magnificent views of the Mamara Sea and our comfortable rooms are indivıdually decorated by colour scheme and have thier own names. g. Babylon, Cleopatra, Zeus etc. We are stated in the hearth of İstanbul monumntal area Kadikoy with 18 Serviced Apartmet Suite. It is located close to the Blue Mosque, Topkapi, Palace, Grand Bazaar , Tramway station and Taksim bus stop. The flat is 5 km to Taksim and 15 km to the Airport. Centrally Located -we are between (new town TAKS?M.) (Old twon SULTANAHMET) and just 5 minutes walk from the Blue Mosque, Hagia Sophia, the Underground Cistern, Topkapi Palace, and only 10 minutes from the Grand Bazaar and TAKS?M by walk. Located in the centre of Sirkeci district, Tarihi Isparta Palas offers 24-hour front desk service and air-conditioned rooms with free WiFi. Hotel Sen Palas in the city centre of Istanbul, close to the Old Town and the Exhibition centre and most historical places Blue Mosque, Hagia Sofia, Topkapi Palace, shopping areas İstiklal Street and Grand Bazar. İstanbul Bakırköy ve Ataköy Bölgesinde Hizmetteyiz. The Cordial House Hostel offers an unbeatable combination of economically priced rooms and a perfect location for quality seeking budget travellers. Abella Hotel-A small hotel on four floors in the historical centre of Istanbul, with panoramic views from the terrace. Close to the Blue Mosque and St Sophia and convenient for dining, shopping and entertainment. Star Holiday Hotel is situated in the center of old city area,(Sultanahmet), in front of the Blue Mosque, just within walking distance to the famous Grand Bazaar, Topkapi Palace and St Sophia. Welcome to the Tulip, a beautiful little guesthouse nestled within the awe inspiring and unparalleled surroundings of the ancient Sultanahmet area of Istanbul. Home Culture rooms offer you all the comfort and privacy in the quiet and relaxing area near Kılıç ali Paşa Mosque. Kupeli Hotel is a recently opened in the SULTANAHMET district. The hotel is superb location offers various numbers of historical attractions, all in walking distance. We are welcomed all of the guests with the beautiful lamps at the entrance & warm hospitalitiy! We are family atmosphered small hotel located in the center of sultanahmet, istanbul. We are centrally located by the blue mosque. We have an excellant view from the roof top terrace looking at the blue mosque and the marmara sea. A small hotel on four floors in the historical centre of Istanbul, with panoramic views from the terrace. Close to the Blue Mosque and St Sophia and convenient for dining, shopping and entertainment. We are conveniently located in heart of the Sultanahmet, and either a walking distance or a short tram ride (Tram Station is 3 mins walk from the hotel) to many of the historic attractions. Enjoy a wonderful stay at this luxury hotel situated in the rising business area of Gayrettepe, Istanbul. Kumkapi Konagi Hotel located in Historical Kumkapi Fish Restaurants , within walking distance to Topkapi Palace, St. Sophia, Blue Mosque. Located in Laleli, oldest shopping center of Istanbul, since 1989, Prestige Hotel makes its customers experience a comfortable accomodation with its new concept, unique quality and service. Located in the center of OLD City and very close to all important sights to see. Boutique Hotel , Guesthouse, Bed & Breakfast. Don't look any further! Enjoy your stay at the Big Apple Hotel. Situated 200 metres from the popular Istiklal Avenue, this pale orange coloured authentic hotel is only a 3-minute walk to the 1348 built Galata Tower. Hotel Agan is located at the centre of the Old City in Eminönü-Istanbul, just near Sultanahmet and at the starting point of both lend and sea transportation. ''The Antik Hotel of Istanbul offers 84 delightful standard rooms and 6 suites, 4 family room on four floors which are decorated to represent the four periods of Istanbul's history. Detay Apart - Big Apartments in the city center. Tashkonak boutique Hotel is located 300 metres away from the Blue Mosque, St. Sophia, Topkapi Palace in SULTANAHMET in hearh of Old Istanbul which blends old-world charm and modern amenities in a friendly atmosphere guaranteed to put our guests at ease. Seven Hills Hotel is located at the heart of exotic Istanbul. Ark Istanbul Apartmets are ideal to begin discovering the real istanbul. If you have decided to take a vacation to the capital megacity of Turkey, there is no better place to get a real feel of local life mixed with ancient culture than in the Hotel Harmony Istanbul Sultanahmet. Chillout Cengo is a very nice hostel. If you are looking for a clean, quiet , comfy and central place where you can chill and have fun, Taksim Lounge is the right place in Istanbul. There are lots of hostels in Sultanahmet, but we are the only hostel in Beyoglu, where the citys nightlife never ends. Here you can meet lots of nice people. Dongyang Hotel Istanbul is recently renovated in the Sultanahmet district. If you prefer to be in warm atmosphere instead of fancy hotels, the Dongyang Hotel Istanbul is the right place. A friendly service and a wonderful holiday are waiting for you. Conveniently located in Kadıköy town center, one the oldest and popular neighborhoods of the Asian side of Istanbul, Rüyam Otel offers 8 double rooms and 15 single rooms. The Albion Hotel is centrally located in the historical heart of Sultanahmet, Istanbul. The hotel is located in the old city of Istanbul which is called Sultanahmet. It is between Hagia Sophia and Blue Mosque. Rooms are located on the both Sea and Land sides. Front rooms have full views of the sea, back rooms have balconies. The Hotel Ida is located at the Sultanahmet in the centre of historical Istanbul. Hotel Ida is very close to the main historical monuments of Istanbul. Our brand new hotel, which is dealed out on October 2008 with its top quality facilities & amenities, welcomes you to enjoy the unique historical places in Istanbul with qualified multilingual staffs. Ambassador hotel is located on the European side with wonderful view of the Marmara Sea, Sultanahmet Square with St. Sophia, Blue Mosque, Hippodrome and the Asian continent. The Galata Istanbul Hotel is a small and exclusive hotel newly opened in the exciting and historic centre of Sirkeci, adjacent to Sultanahmet. We restorated an old Turkish house and made it a very comfortable hotel with only 8 tastefully decorated rooms for you, in the heart of Sultanahmet. rooms have balcony, air conditioner, tv, minibar. Come and feel like at home. 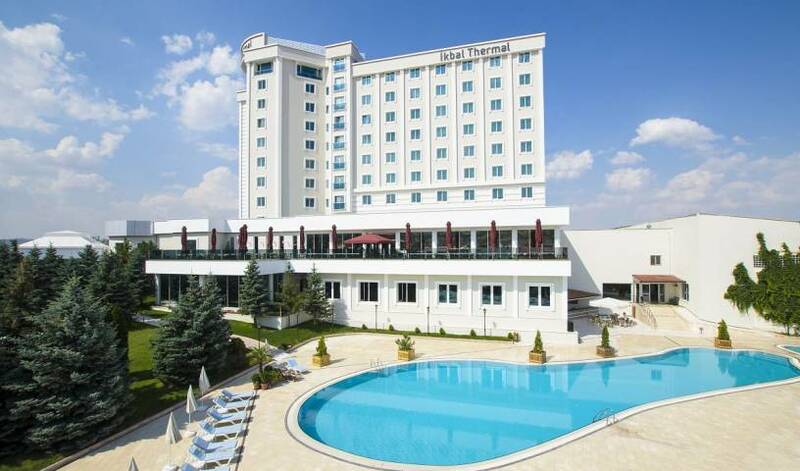 The Green Park Hotel Merter is only ten minutes of driving distance from Atatürk International Airport, five minutes from CNR Exhibition Center and very close to the main districts of Istanbul. It is located in the heart of historic Istanbul, Sultanahmet. Shantihome is for those travellers looking for a home away from home. We are a small hostel with a friendly, shanti atmosphere and an ideal location in the middle of Alsancak. Our fully equipped 2 + 1 and 1 + 1 flats in our apartment in İzmir city center opposite to the Cultural Park offer the comfort of your home. The hotel was in 1851 with the charateristics of Ottoman was renovated in, 1997 keeping the spirit of it's atmosphere of the hotel will take you back in history.